Rate This Thread - Knott 15 - Prestonsburg 0. #theyneverseenitcomin More mash taters please!!! Sorry bout that! SMH! CT and the posse were doing a lil round of golfy and saw the short bus! Ole Fatpat grabbed the steering wheel and said turn this gcart around baby! CT turned that mutha over trying to catch the game baby! Came off Stonecrest one speed and thats wide freaking open boi! 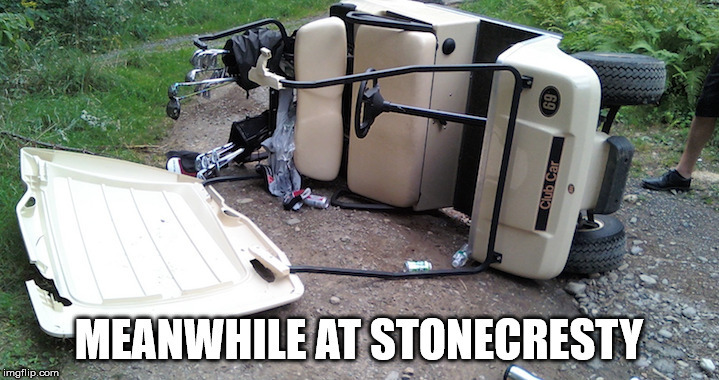 #stonecrestandpburgneverbethesame #roadrash More mash taters please!!! All times are GMT -9. The time now is 09:30 AM.